A new version of the Lernabit Android app is available. This version of the app adds a splash screen while the app starts. Otherwise, this is a bug fix release, including a fix for broken profile images in the navigation drawer. After months of work, I'm happy to announce that the Android app for Lernabit is now in open alpha phase! Version 2.4.17 of the Android app is now available. See what's new. 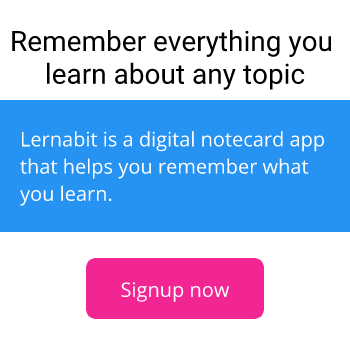 Now you can take notes in the Lernabit Android app even without an interent connection. Lernabit will be relaunched under a new concept. Lernabit has been relaunched! Check out what is new.